Holy cow. 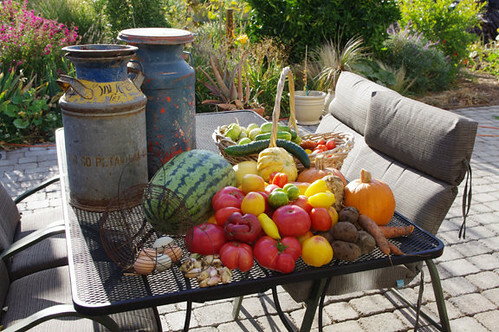 I don't think I've harvested 70 pounds of anything in my entire life. That's damn impressive. 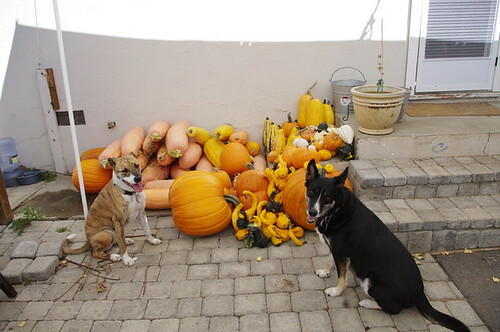 We have yet to weigh the squash, which will be one helluva chore. We did weigh the two largest pumpkins. The one closest to Squeek, the brindle dog, weighed 70lbs. 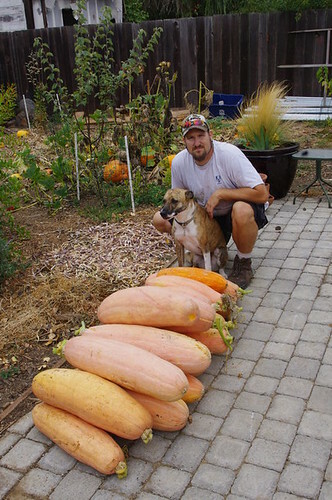 holy vegetable patch, that's one huge harvest! i am seriously envious. In one day, wow!!! well done. What will you do with all of that the squash? Some of them we'll eat and a lot of them we will sell as Halloween/Fall decorations.